Locations: Arusha Zone, Dodoma Zone, Mbeya Zone, Mtwara Zone, Dar es salaam and Mwanza Zone. 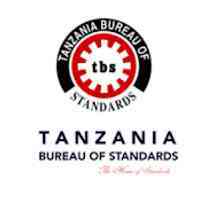 OVERVIEW: Tanzania Bureau of Standards (TBS) is Tanzania sole Standards body, formerly established by the Standards Act No. 3 of 1975, which was repealed and replaced by the Standards Act No. 2 of 2009. It is a Parastatal Organization under the Ministry of Industry and Trade. The core functions of TBS include the formulation of a wide range of national standards for products and services, and overseeing the implementation of these standards in industry and trade through the already well-established certification schemes.